io9 is proud to present fiction from Lightspeed Magazine. 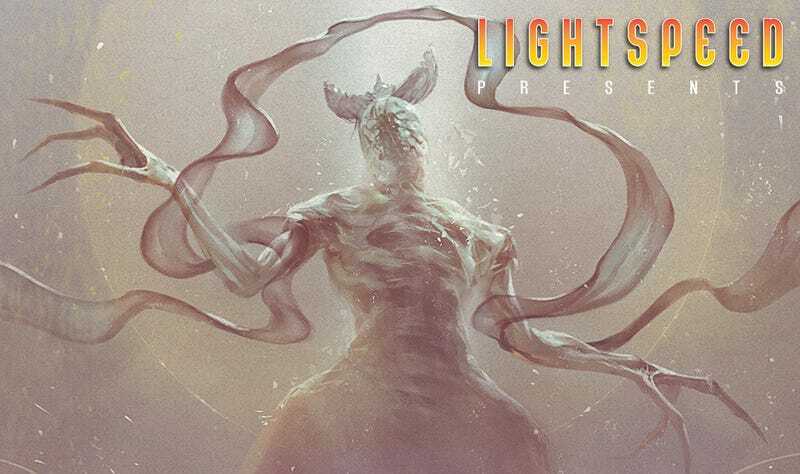 Once a month, we feature a story from Lightspeed’s current issue, and this month’s selection is “I Sing Against the Silent Sun” by A. Merc Rustad and Ada Hoffman. You can read the story below or you can listen to the podcast. In the Principality there bule the Seven Suns. Armored gods, they marched through the universe eons ago, wreathed in subjected angels, and left footprints of conquest on galaxies. They dragged beneath them the corpse-heat from a billion burning worlds. A. Merc Rustad is a queer non-binary writer who lives in Minnesota and is a 2016 Nebula Awards finalist. Their stories have appeared in Lightspeed, Fireside, Apex, Uncanny, Shimmer, Cicada, and other fine venues. You can find Merc on Twitter @Merc_Rustad, Patreon, or their website. Their debut short story collection, So You Want To Be A Robot, came out from Lethe Press in May 2017. Please visit Lightspeed Magazine to read more great science fiction and fantasy. This story first appeared in the June 2018 issue, which features eight science fiction and fantasy short stories, plus a novella, nonfiction, and novel excerpts. This issue also contains work by Micah Dean Hicks, Todd McAulty, Ashok K. Banker, Russell Nichols, Courtney Bird, Lina Rather, Emma Törzs, James Cambias, and more. You can wait for most of this month’s contents to be serialized online, or you can buy the whole issue right now in convenient ebook format for just $3.99, or subscribe to the ebook edition at a discounted rate via the link below.